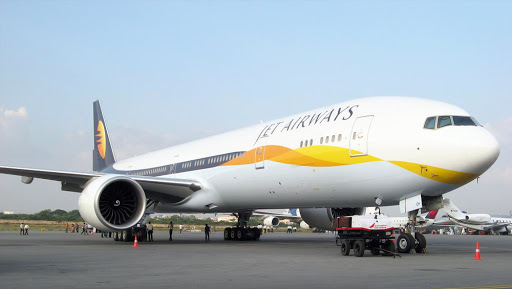 Mumbai, April 14: Crisis-ridden Jet Airways has stopped forward bookings for some of its international sectors, including those for east Asia, sources said on Sunday. Currently, the airline has suspended international operations till Monday afternoon. Accordingly, the company has informed the country's aviation regulator that it has stopped taking forward bookings for its flights to SAARC and ASEAN destinations including Colombo, Kathmandu, Singapore, and Hong Kong till further notice. Jet Airways Currently Flying Less Than 50 Domestic Flights, Says DGCA Official. "They have informed that DGCA about suspension of forward-bookings for SAARC and ASEAN routes. For now, there is no certainty about when the forward bookings for these sectors will be re-started, since everything is dependent on capital infusion, which is stuck with the consortium of lenders," an airline insider told IANS in Mumbai. Jet Airways Aircraft Seized in Amsterdam For Non-Payment of Dues, Passengers Stuck. Even the airline's unpaid employees are upset, they have taken out a silent marches in New Delhi and Mumbai. Other employees, like National Aviators Guild (NAG) Vice-President Captain Asim Valiani told IANS in Mumbai: "The airline is running out of time, with no funds and a truncated schedule, Jet is losing its true financial value." "We want the banks to stick to their promise and infuse funds immediately. Only with fresh funds will you get any interest from new buyers." On Friday, the cash-strapped airline suspended its international operations till the weekend after further reduction in its fleet size. Jet Airways Employees Seek PM Narendra Modi's Intervention to Help Them Out. The airline has also cancelled domestic flights, leaving passengers stranded at various airports. This led the Prime Minister's Office (PMO) to assess Jet Airways' financial situation. Jet Airways is expected to approach lenders on Monday for interim funding.